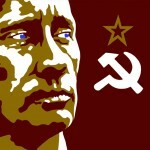 Elected in 2000 after being named Yeltsin’s successor in 1999, Putin is known as a powerful and brutal leader. During his reign there have been scores of politically motivated assassinations throughout Russia. Many reporters and civil rights activist have been murdered for speaking out against the government. The most famous was a former spy killed in London from a radioactive mist traced back to Russia. 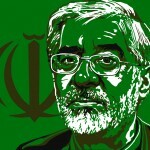 Mir-Hossein Mousavi is an Iranian reformist politician, painter and architect who served as the seventy-ninth and last Prime Minister of Iran from 1981 to 1989. He ran for president of Iran in 2009 and was defeated through wide-spread voter fraud. Now, he is the leader of the Green Movement which defies the illegitimate Iranian government in the face of violence and even death. 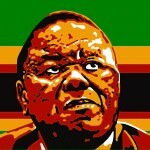 Morgan Richard Tsvangirai is the Prime Minister of Zimbabwe. He is a key figure in the opposition to President Robert Mugabe and has survived multiple attempts on his life. Recently Tsvangirai’s wife of 40 years, Susan Tsvangirai, was killed in the head-on collision, a tactic often employed by Mugabe. Tsvangirai endures however, and still continues to lead the country with Mugabe in a power-sharing deal. Robert Gabriel Mugabe is the current President of Zimbabwe. He was elected in 1980. 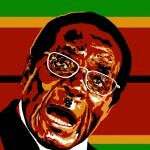 Mugabe is known as one of the worlds most violent dictators. He goes on racist diatribes, he compares himself to Hitler, and he intimidates political opponents with extreme violence and death. For instance, the wife of Mugabe’s political opponent, Patson Chipiro, was burned alive with a petrol bomb after her hands and feet were severed. Hu Jintao became the President of the People’s Republic of China in 2003. During his tenure, China has famously tightened its control over the internet and free speech. China has become a bigger player on the world stage, and is soon to be the worlds second largest economy. 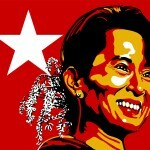 The world has become alarmed by China’s record on human rights, economic policy, and military expansion under Hu Jintoa’s watch. 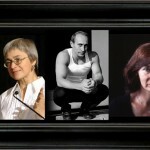 This image depicts Vladimir Putin pointing a gun at the head of the assassinated Russian reporter Anna Politkovskaya. 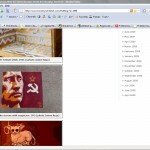 The photo of Putin was released as propaganda from the Russian government.